At Greene Rehab Services, we pride ourselves in providing the best quality patient care possible, and with this promise comes the best staff in Sarasota County. Our highly trained therapist are certified with the most up-to-date therapies on the market. Our office staff also works hard to make your visits are as easy as possible. 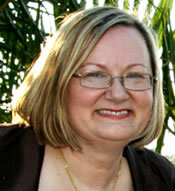 Chris Greene received her Bachelor’s Degree in Physical Therapy from the University of Minnesota in 1974. She then moved to the Sarasota area and started Greene Rehab Services with her husband Brian in 1978. Since then their practice has grown to cover both Venice and North Port. Chris earned her Doctorate degree from the University of Des Moines and has taken hundreds of hours of continuing education classes in many different areas. Chris combines both traditional and alternative treatments into her therapies. Her areas of specialization include manual and alternative therapies focusing primarily on pain reduction. In her spare time, Chris enjoys working on her house, spending time with her family and helping out with her church’s puppet ministry. Gary Paben received a Bachelor’s in Health Science in 1998 and a Master’s degree in Physical Therapy in 1999 at Duquesne University in Pittsburgh, PA. He returned to Sarasota in 1999 and joined the staff of Greene Rehab Services in Venice. In 2004, Gary took over the position as Director of our North Port facility. He has taken many additional continuing education classes in both manual and orthopedic therapy. In Gary’s off hours, he enjoys boating, golfing, and spending time with his wife and son.